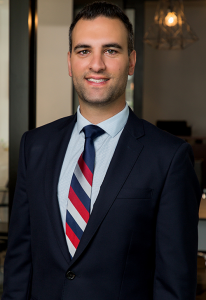 Hani Ganji is a trial attorney with Kermani LLP. He represents individuals and companies in state and federal courts in the following areas: Business and Contract Disputes; Class Actions; Insurance; Personal Injury; and Labor and Employment. Prior to joining Kermani LLP, Hani was a litigator at Hanson Bridgett LLP, a full-service California-based law firm, and Clyde & Co., a London-based international law firm specializing in complex cross-jurisdictional disputes. During law school, Hani externed for the Honorable Justice Ming W. Chin of the California Supreme Court and served on the Hastings Law Journal. He was also a member of Hastings’ nationally-acclaimed Moot Court team. Prior to law school, Hani was a senior associate at Deloitte Financial Advisory Services, where he consulted for a wide variety of clients in the Technology, Real Estate, Health Care and Financial Services industries. Hani has been on IABA NorCal’s board of directors since 2011 and served as its president in 2016 and 2017. He also served on the advisory board of Moms Against Poverty, a San-Francisco based non-profit that fights to end child poverty around the world.